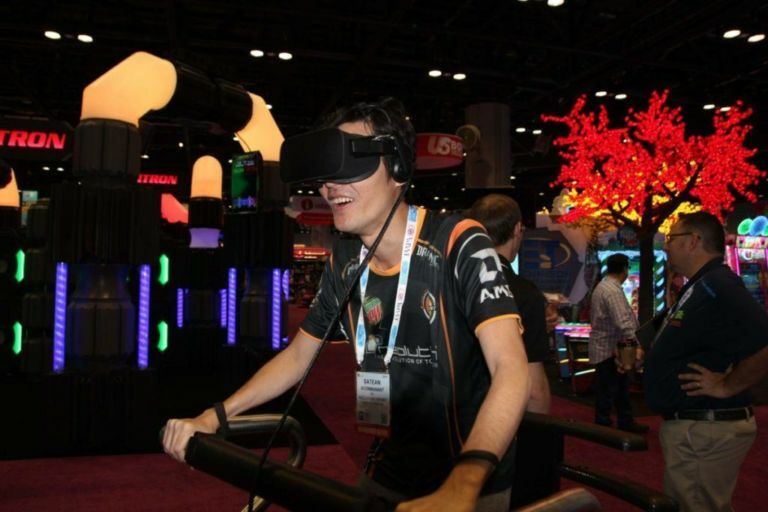 IAAPA exhibition is not just an event! It is a real show dedicated to the most exciting and original ideas for amusement parks and entertainment centers for children and adults. From teddy bears and air hockey to virtual reality simulators and real roller coasters. A space full of ideas and new technologies that cannot but inspire. 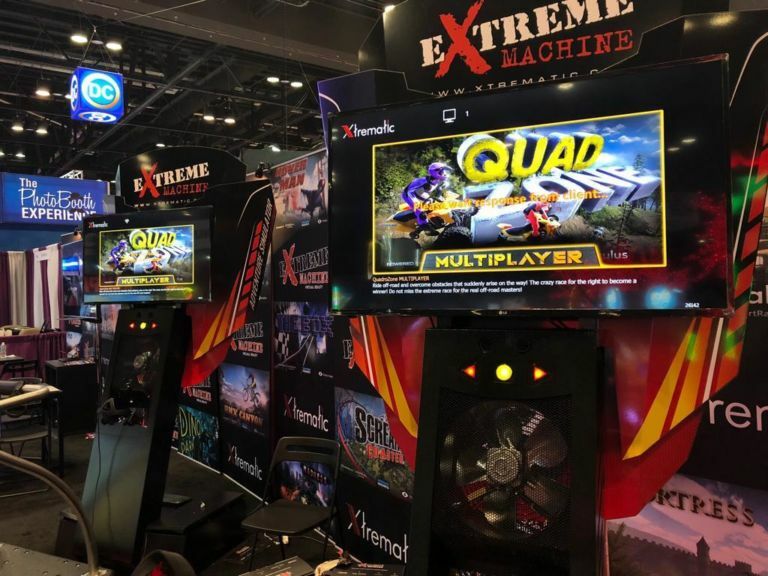 This year, Xtrematic delighted visitors of the exhibition with new rides, upgrades to many of their favorite games, as well as the main offer of this fall – Xtreme Multiplayer Pack – a set of two virtual reality simulators X-Machine with a unique network connection feature! The Xtrematic team has long way of turning interactive rides into not just toys, but into real competitions, as befits any sport. Now our attraction of virtual reality X-Machine has become even more interesting and attractive. We were sure that playing with a friend or just a passerby is much more exciting than in a single mode, and the work at the exhibition approved it! Multiplayer allows a person to feel the excitement and increase adrenaline to the maximum level, because in each of us lives a desire to win. It is necessary to see how persistently friends repeatedly compete in various races to find out who is better! It is unforgettable emotions and pleasant aftertaste, which is preserved for a long time thanks to the smiles and laughter of people, their burning eyes and the words of gratitude and admiration that we hear from everyone who tried our Extreme-Machine. Ahead of the new 2019 we have many plans and ideas, new exhibitions and new releases. Xtrematic is gaining momentum and will soon delight the world of VR with new products that many have been waiting for. In the meantime, do not forget about our special offers for the purchase of the X-Machine simulator and about the novelty – Xtreme Multiplayer Pack – do not miss the opportunity to pump your business!